I should have blogged about this month’s ago, but please please please consider registering to become an organ donor. The ability to go on to possibly save many lives after death is amazing don’t you think? ….Check out these recent statistics. Last year 429 patients died while on the waiting list for an organ transplant because of shortages in donations, new figures show. 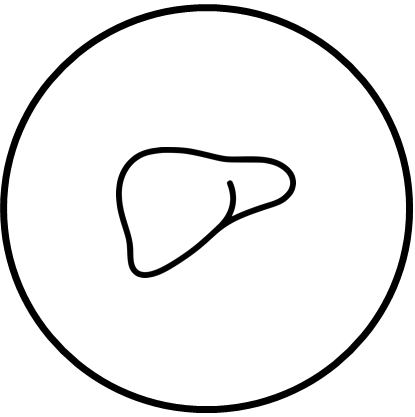 The liver is the second most commonly transplanted major organ, after the kidney. I’m sure you have noticed that it’s been mentioned in the media an awful lot this week. 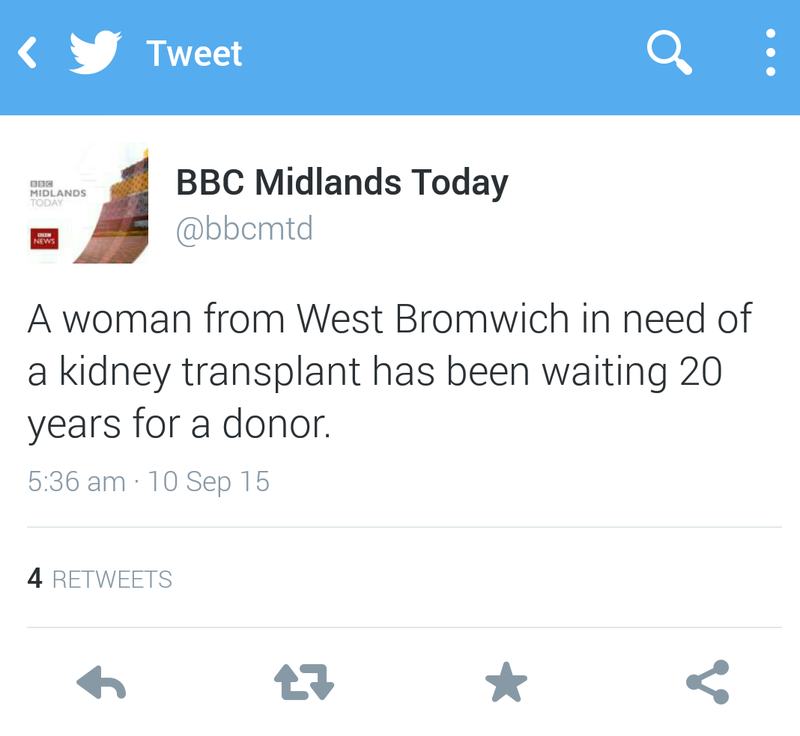 That’s because it’s National Transplant Week! I’ve been busy with the local radio and newspaper, social media sites and NHS Blood and Transplant Foundation in order to raise awareness. It’s been a goal of mine to do this as I don’t believe it’s publicised enough. Just think of what it would be like to be on the list waiting for an organ! I’m not asking you to feel sorry for me because frankly I’m one of the lucky ones. I’m doing pretty well right now and able to lead a relatively normal life, aside from the fatigue and numerous amounts of tablets. Some aren’t so lucky… having only weeks, days, even hours to live! Waiting for years, a decade…. longer? So I ask you to spare a thought for them this week. Please click on the link below to agree to donate. When your donor card arrives in the post…. spread the word!! One more thing… since my last blog. I have been more popular than ever. 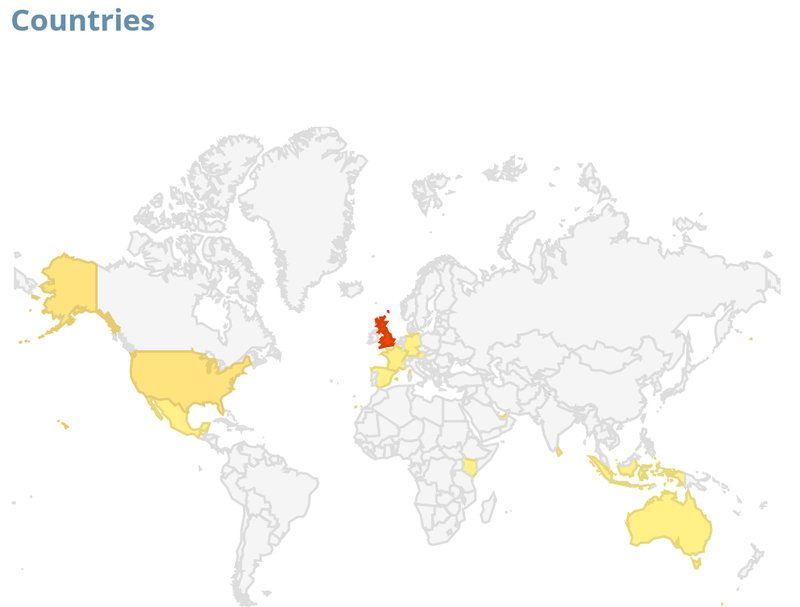 Overall it’s been viewed by over 2,300 times and covered 22 countries!